Our award winning designers work together collaboratively to create the perfect space for you. We walk through the planning and selection process with an open ear to the client’s needs, and produce stunning results every time. With hundreds of satisfied clients throughout the years, we have a proven history of success. Wayne realizes the importance of paying careful attention to your needs and ideas. After all, he bases your entire design on fulling them. From Kitchen and bath design, to remodeling and interior design, his 30+ years of experience will work to your benefit, resulting in an attractive and functional design just right for you. 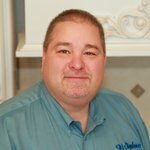 Mark Prince combines his 30+ years of experience in the design field with the personal styles and desires of his clients, to develop a personally aesthetic and functional solution to any kitchen or bath. He has a long list of extremely happy clients and that is his personal goal. He has been working specifically in the kitchen design field since 1998 and was educated in the University of Cincinnati DAAP design program. 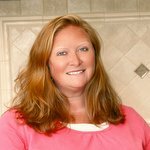 Alissa has over 22+ years of experience serving builders and remodelers in kitchen and bath design sales/support in Northern Kentucky and Ohio. 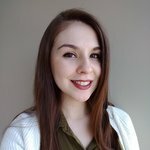 She pays meticulous attention to detail and has advanced 20/20 computer design experience. Alissa holds a Bachelors of Arts degree in Interior Design from the University of Charleston. We take pride in providing remarkable customer service and our support team is second to none. Proud to be from Monterrey, Mexico, Marcela holds a Bachelors of Arts degree in Industrial Design from Universidad de Monterrey. She has 6+ years of international experience designing and coordinating projects such as kitchens, bathrooms, bars, closets, you name it! 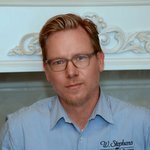 Constantly improving our communications with our customers is a top priority at W.Stephens Cabinetry & Design. Heather has been in the marketing and advertising field since 2004 and brings a new level of marketing expertise to W.Stephens. 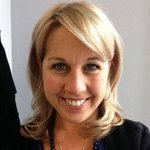 She holds a Master’s degree in Communications from the University of Cincinnati and a Bachelor’s degree from the University of Dayton. Contact us (859-331-8100) for a Complimentary Consultation!